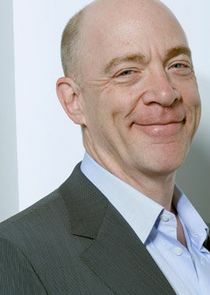 Growing Up Fisher is a comedy series that stars J. K. Simmons, Eli Baker, Ava Deluca-Verley, Lance Lim and Jenna Elfman. Synopsis: It's not every family that's brought closer together by divorce... but then again, the Fishers aren't exactly typical. Take Mel Fisher, for example. Whether it's chopping down trees, showing his daughter how to drive or playing football with his son, he's never let the fact that he's blind slow him down. Then there's Joyce Fisher, possibly the only mom in Pasadena to smoke a pipe. For her, divorce is like a second coming of age, a chance to be the teen she never was. Just ask her '80s-obsessed teenage daughter Katie, whose clothes she's always borrowing (that is, when Mom's not tagging along with Katie to the mall). At the center of all this is Henry, the Fishers' 11-year-old son. Having always been his dad's eyes, ears and wingman, Henry's less than thrilled when Mel shows up with Elvis, a guide dog... which is also how Henry learns about the pending divorce. Awkward. While reluctant to the changes this "big ball of fur" would bring, it's through an Adult Henry's voice-over (Jason Bateman) that we ï¬nd out his parents' split would "allow all of us to ï¬nally discover... who we needed to be."